Xiaomi has started teasing the launch of two new brand new smartphones, specifically for the Chinese market. 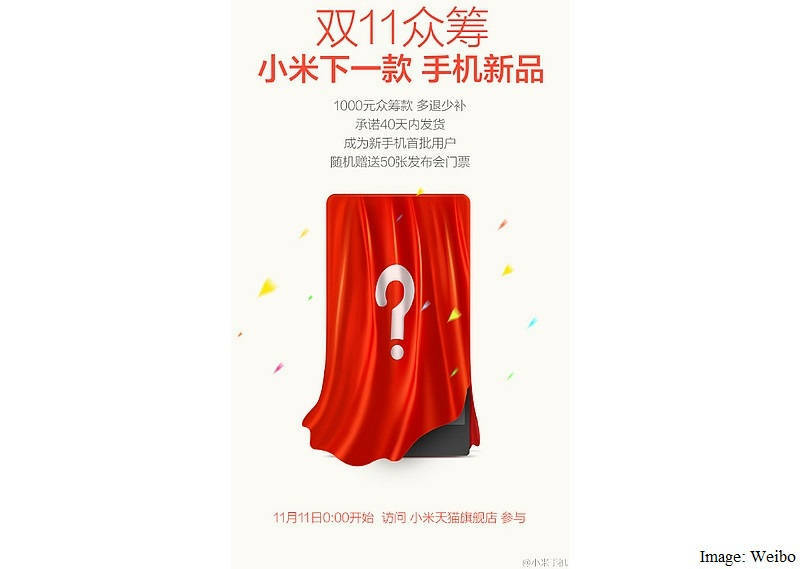 According to the poster which was published on Weibo doesn’t provide much information but has the words ‘ Mi Dual 11’ which hints on two new smartphones being launched on November 11th. So, what are the two new smartphones? Based on the running rumors, there’s a high chance that these are the new Xiaomi Mi 5 flagship phone and the Redmi Note 2 Pro. The second rumored phone, Redmi Note 2 Pro, will most likely house the similar specs of the Redmi Note 2 but the difference lies on the addition of a fingerprint sensor and a metallic build. Let’s wait and see what Xiaomi has in store for us!